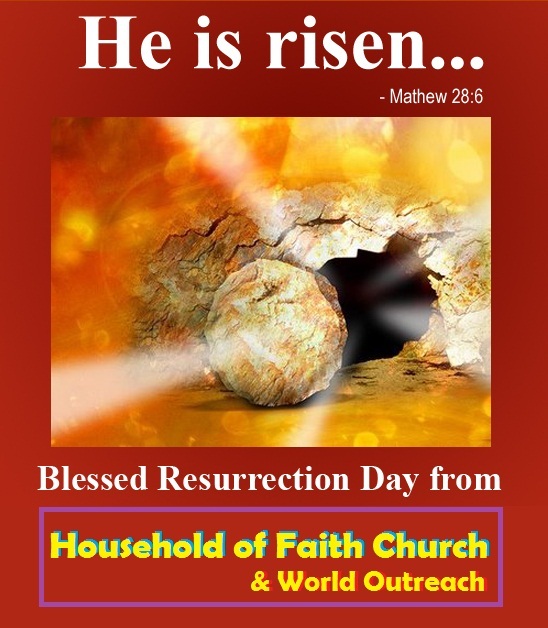 Apostolic Titbits: Jesus Christ Is Risen! Praise be to His Holy name. Because MY LORD has won over death. Glory of the first born shone through. Because all powers of hell has lost. Hallelujah to the risen king. Because now MY SAVIOR rules over all. Thanks to the resurrected king. Because through it may know Him and His RESURRECTION POWER! BLESSED RESURRECTION DAY TO ALL MY FRIENDS, BROTHERS, SISTERS, SAINTS AND ALL THE HOUSEHOLD OF FAITH FAMILY AROUND THE WORLD!!!! !